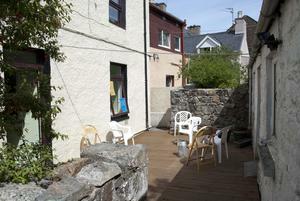 Catch23 is a mental health drop-in centre in Stornoway, Isle of Lewis, operated by WIAMH. The Centre is open from 12 to 4pm Monday to Friday and 11am to 3pm Saturdays. 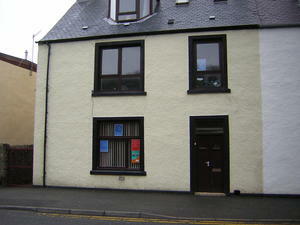 The drop-in is less than 5 minutes walk from Stornoway town centre. The building is opposite the bridge that crosses the river at the top end of the inner harbour and it is situated across from the Bridge Community Centre. It is a user led service with the membership making key decisions in what services are provided. We aim to provide an informal, relaxed and safe place for people to meet without the fear of being judged by the stigma of mental health and the issues that surround it. In order to maintain the right atmosphere in the Centre we keep rules to a minimum and we don’t require huge amounts of information from the members who use our facilities. We are not a counselling service but have many contacts throughout the Western Isles who may be able to give you any advice you may need. WHO CAN USE CATCH 23? The Drop-in is an adult service and is available to those who are experiencing or have experienced mental health difficulties. Their carers, friends, relatives and members of the general public are also very welcome. Catch 23 / WIAMH do not charge for any of the services provided. How is Catch 23 Funded? The Centre relies totally on external funding from a number of supporting agencies and third sector funders. Donations are always very welcome! The Centre’s activities are now based on the ground floor allowing access for wheel chairs. If you are wheel chair bound and would like to drop-in, please ring us in advance and we will assist you on arrival.